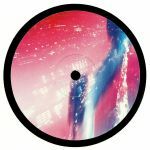 Review: Lost In Time has laid down some killer 12"s to date from the likes of Ralph Lawson and Tuccillo, and now they welcome London-based scene staple Alex Arnout to the label with an on-point EP of explorative house music variations. 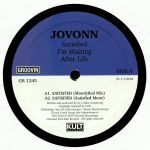 "No Borders" features long time US house veteran Jovonn, and the pair whip up a tracky tech house roller with serious percussive pressure and a subtle lick of dub in the mix. "Downtown 500" is a rough and tough, bashy house jam with a fresh drum palette, and by contrast "Riddim" brings a straight up deep house vibe with classic organ licks aplenty, that almost sound like they should be the handiwork of Jovonn as well. "Jam The Dance" finishes the EP off with a twitchy house cut peppered with vocal slices.